Everybody has a list of the best books of all time, the books you should read right now, the books you should read if you don’t want to be a semi-literate, barely-housetrained imbecile. I think Janet Potter got it right in her blog post today, though. She didn’t throw out a list of titles. We already know we’re supposed to read For Whom the Bell Tolls and we’re not supposed to read Fifty Shades of Grey. She made suggestions by context, and inspired me to do the same. I’m not one of those people that always reads the same genre. I’m currently rereading a dystopian science fiction book. The one before that was a spy thriller. The one before that was a business book. Those were preceded by history, botany, short stories, historical fiction, science, fantasy, tea, and a biography. If you’re looking for something different to read, here are some ideas. Some are the same as Janet’s (as I said, she got it right), but most are my own. Read a book with a title that makes you laugh. Pick two things you like and see if you can find a book that has both. I enjoy science, and I enjoy the occasional alcoholic beverage. Hey, look! 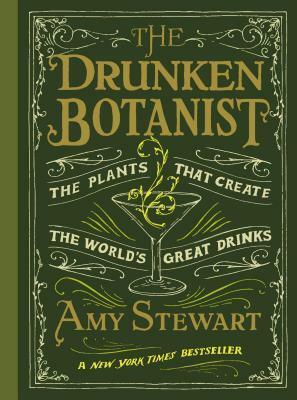 An entertaining book about the plants we’ve intoxicated ourselves with throughout recorded history! Go to the Fantastic Fiction website and look up an author you really like. Read something that author recommends. Read something that one friend loves and another friend hates. See which friend you agree with. Ask someone to name a book that made them seething mad. 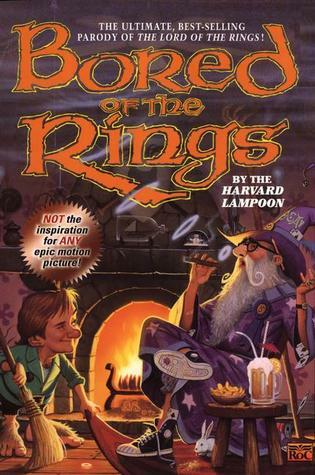 Read a parody of a book you enjoyed. The resurgence of interest in Tolkien’s work makes Bored of the Rings timely again — and still funny despite all of the dated references from the 1960s. Go into a bookstore and ask the first bookseller you meet what their favorite book was last year. Pick a genre you don’t normally read. Ask someone what the best book in that genre is. Pick an author who has written a lot of books. Is there one that’s not like the rest? A history book by a novelist, for example? Read that one. 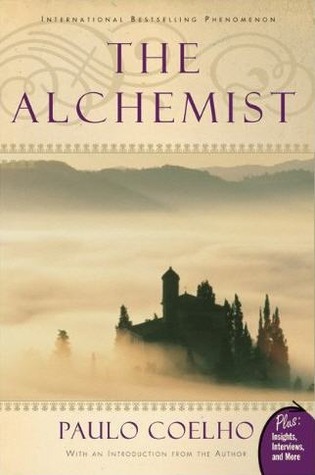 Read a book that was inspired by another book you like. A modern retelling, a different point of view, or a shift to a different genre. 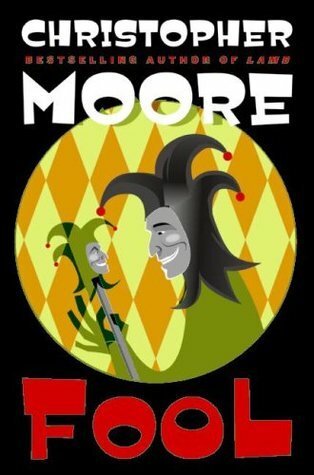 Christopher Moore retold Shakespeare’s King Lear through the eyes of Lear’s fool. The wordcrafting may not be quite as masterful, but it’s funnier and bawdier than the Bard’s version. Look for someone who is reading a book and laughing out loud. Read that book. Look for someone who is reading a book and trying not to cry. Read that book. Think back to when you were a kid. What were you really into? Dinosaurs? Ponies? Fairies? Robots? Go find a book about it. 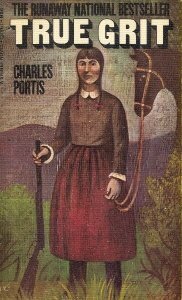 Pick a movie you really like and read the book that inspired it. But that’s not how it happened in the John Wayne movie! Ask a librarian to name a really good book that nobody has checked out for a long time. Pick a place you’d really like to go someday and read a book that’s set there. Take a look at the list of the top 100 banned and challenged books. Pick a book from the list. It’s more fun reading a book that someone doesn’t want you to read. Read a kid’s book. Seriously. You’re never too old to read a kid’s book. Even better: read a kid’s book out loud! If you’re a guy, ask a woman to recommend a book by her favorite female author. If you’re a woman, ask a guy to recommend a book by his favorite male author. Select a book about the struggles of a minority group that you’re not a part of. If you’ve never read a graphic novel, read one. Not a comic book — a real graphic novel. Grab something that’s outside your comfort zone. The farther the better. 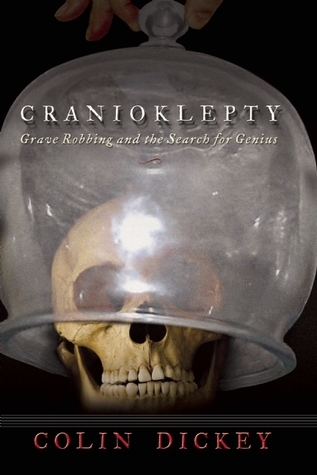 How about grave robbing to supply early scientists — or pseudoscientists — with human skulls to study. Is that outside of your comfort zone? Along those lines, read a book about someone else’s religion — or lack of religion. On Google, type something that interests you (kittens? beer? sumo wrestling? ), and follow it with the words “poetry book.” Track down the first book in the results and read it. Watch some TED talks. The first time one really grabs you, find a book by that presenter or about that subject. If you want to wait until I give my TEDx talk in March, I understand. Select a book that was originally written in another language. Written in Portuguese and translated into English. I read it in one evening in a hotel room in Cody, Wyoming. If you have any great ideas that aren’t on my list, leave them in the comments below. Ditto if you try one of these tricks and find a new favorite book! 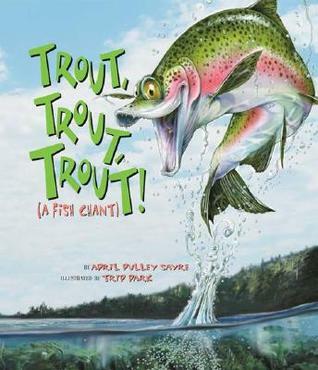 Don’t feel any obligation to read the ones I chose as illustrations for the list (except, perhaps, for Trout, Trout, Trout), but I hope they inspire you to find something new and different.